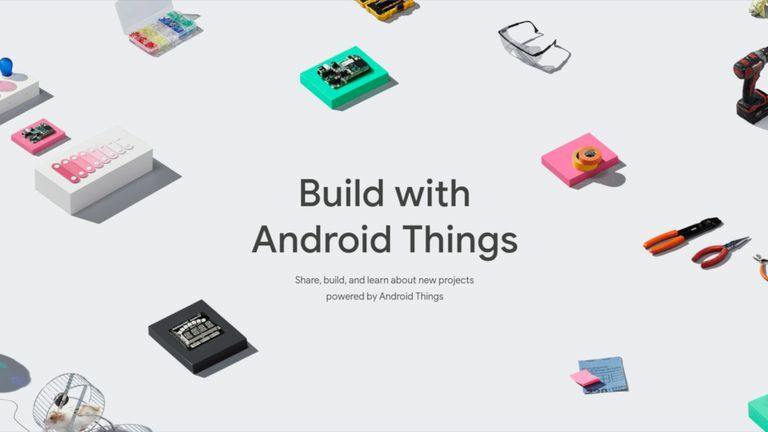 Android Things is Google's relatively new version of Android specifically geared towards Internet of Things (IoT) devices. As an IoT operating system, Android Things needs to be able to run on very minimal systems without a lot of system resources. Google designed a number of the Google Assistant devices around the IoT OS. Android Things also includes Google's Weave protocol, designed for IoT devices to communicate with each other. Unless you're developing a production grade IoT device, use a Raspberry Pi to experiment with Android Things. Most of these are geared toward professional applications, and they aren't really options for hobbyists trying out an operating system and developing apps for fun. Google supports four platforms for production use. There's the NXP i.MX8M, Google's main platform of choice, and the one they built one of their developer kits around. Google also supports two Qualcomm boards, SDA212 and SDA624. Finally, there's the MT8516. On the development side of things, Google supports the Raspberry Pi 3 and the NXP Pico i.MX7D. Seeing as the Raspberry Pi is the most easily accessible device supported by Google for Android Things, you can grab an image from Google and flash it on a Raspberry Pi 3, if you happen to have one. In order to get access to Android Things, you're going to need to sign in and download it from your Google account. Go to the Android Things Console. You'll need to sign in first. Once signed in, you should arrive at a screen prompting you to create a new device. Create a test device and set the model to Raspberry Pi. From there, you can select the three vertical lines menu icon in the upper left corner of the screen, then select Tools. You'll arrive on a page where you can download the setup utility. Select Download. When the download finishes, create a folder to run the utility out of, and unpack the contents of your newly downloaded zip into it. Open the folder where you unpacked the utility zip. It contains Windows, Mac, and Linux versions of the setup utility. Right-click the Windows setup utility, then select Run as administrator. Linux and Mac users can open a console and run the provided utility with sudo. The utility will start up and ask you questions about your setup. First, it'll ask if you want to set up Android Things or just Wi-Fi. Select the complete install. Then, it'll ask which device you're installing on and grab the appropriate tools. Next, it'll ask if you want the default or a custom image. Select the default one, and the utility will start downloading the image. When it's ready, it'll ask for your SD card. Insert one into your system and confirm. The setup utility will begin searching for cards. When it finds yours, select it, and it'll begin writing to your card. After the setup is done writing to your card, insert it into your Pi, then connect it via an Ethernet cable to your network. Finally, plug it in. Your Pi will finish the setup and boot into Android Things. You'll be able to access your device over your network with Android Debug Bridge (ADB). Once you connect, you'll be able to do anything you need over ADB, just like the Android devices you're used to.